The sponsored walk was originated by Gerard Mitchell who decided to raise funds to support cancer charities following the death of two of his close friends. The Dave Owens and Frank Goodall Memorial Fund sponsored walk is an annual challenge walk to raise funds for our nominated charities in support of cancer research, prevention, and treatment. 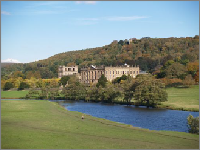 Originally a challenge walk across the three peaks of Pen-y-ghent, Whernside, and Ingleborough in the Yorkshire Dales, we now organise a highly popular two distance walk around the beautiful countryside and villages of the Chatsworth Area in Derbyshire. See other parts of this site for details of the our most recent walk, histories of previous walks, photographs and all accounts of the funds raised so far. Details about the four cancer charities we support, and have done continuously since 2003. To date we have raised a significant sum of money to aid each of the charities in funding cancer research, prevention, and treatment. 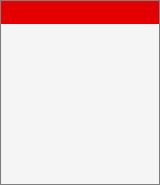 The accompanying note with each charity is taken from their own Website. Cancer Research UK is the world's leading charity dedicated to research on the causes, treatment and prevention of cancer. Our vision is to conquer cancer through world-class research, aiming to control the disease within two generations. We receive no Government funding for our research, so our life-saving work is only possible thanks to charitable donations. When you give money you help our scientists get closer to finding a cure. Giving as little as £2 a month could fund something as big as a new research centre or as small as glass slides to analyse cancer cells. Macmillan Cancer Support is a UK charity that works to improve the quality of life for people living with cancer. Each and every day 739 people in the UK are told they have cancer. There are now over a million people in the UK that have had a cancer diagnosis and, if current trends continue, this number will have increased to 3 million by 2025. Macmillan offers life support by providing the expert care and practical support that makes a real difference to people living with cancer. We offer a range of innovative cancer services and are at the heart of improving cancer care throughout the UK. Right from the moment you’re diagnosed, through your treatment and beyond, we’re a source of support, giving you the energy and inspiration to help you feel more like yourself. Marie Curie. Cancer is the UK's biggest killer. Every year it claims the lives of more than 150,000 people, with a further one million living with the disease at any one time. Marie Curie Cancer Care is working tirelessly for you and your loved-ones by challenging the disease through its work in cancer care and research. Every year the charity provides care to around 25,000 cancer patients and their families - entirely free of charge. The Oesophageal Patients Association is an independent registered charity formed in 1985 when a few former oesophageal cancer patients met and found tremendous reassurance in sharing experiences. Since then, we have helped thousands of patients and carers. The members and subscribers of the Association are all patients who have experienced oesophageal or gastric difficulties, not forgetting the hard work of their carers of course and the support of their friends and families. We have prepared medically approved booklets and fact sheets on the problems, which we can talk about at first hand, understanding the fears that can be generated, the pains that can be suffered and the effects on the digestive system that can be experienced. Informal meetings for patients and carers (family or friends) are regularly held at regional centres around the UK. Problems are aired and suggestions for overcoming them are exchanged. The essential aim is to enable new patients and carers to meet and talk to former patients and carers who need advice and help.